We all know that FN PLATFORM served as a launching pad for some of today’s most established brands. This year, they had the chance to chat with previous PENSOLE Academy design contestant and first time FN PLATFORM show exhibitor, Christopher Dixon, who will be launching the Christopher Coy Collection this coming February 16th-18th. Christopher is a true FN PLATFORM success story. Learn more about Christopher Dixon from the Question & Answer interview below. 1. What was your experience during the first PENSOLE Academy design contest? Pensole was one of the best design experiences I’ve had because it was focused on footwear. We learned the process of footwear design from A to Z. There were designers from all over the world, working under one roof, competing for the title of Future of Footwear, which meant winning your own sample shoe and a trip to FN PLATFORM in Las Vegas. The four-week program felt like a real-world work environment. Every day there was something new to learn by doing. Many design professionals came in to speak about their personal design journey and also gave us advice with our projects. D’Wayne served us up a dose of wise quotes every morning that made us not only desire to be better professional/designers but also great people too. His one-on-one help was very focused and direct with each individual student. D’Wayne challenged us to raise our level of thinking. 2. How did that shape and cultivate your process for the future? This shaped my process by simply knowing the correct order to work in and how much time I should spend on each part of the process. I am now able to take my creativity and develop it into a story relatable to my target audience. This ultimately pushed me in the direction of creating a collection to sell independently. 3. For you, what is the difference between coming to the show as a contestant and now as an exhibitor launching your first collection? The difference this time is I am no longer just sharing my concept story for votes, but rather telling the story to get real purchase orders from buyers. I still want to be able to give them the inside design process I learned at Pensole but in a very new, innovative way. 4. Why did you choose to do so at FN PLATFORM? The exposure you get from FN PLATFORM is like none other. But this is also a continuation of my story that started during Future of Footwear presented by FN PLATFORM x PENSOLE in 2012. From that design I worked very hard to make it a full collection for the future that we are now in, 2016. FN PLATFORM will be the best place to debut this accomplishment. 5. What are your hopes for your brand and the footwear industry as you continue to grow within it? I hope to be able to continue to innovate within women's footwear and eventually evolve into a male and female brand. Creating classic products for fashion forward individuals. The beautiful thing about footwear design is it is always changing and there's something new to learn. I look forward to meshing my love for performance into the world of fashion. 6. Favorite style from your collection? My favorite design is the Alicia, a versatile asymmetrical sandal that can be worn during any season. I used a combination of materials on this style including Napa leather, suede, patent leather and some exotics. I’ll be launching the brand in the PENSOLE booth, which is located in the South Hall, Booth #82500 in FN PLATFORM. 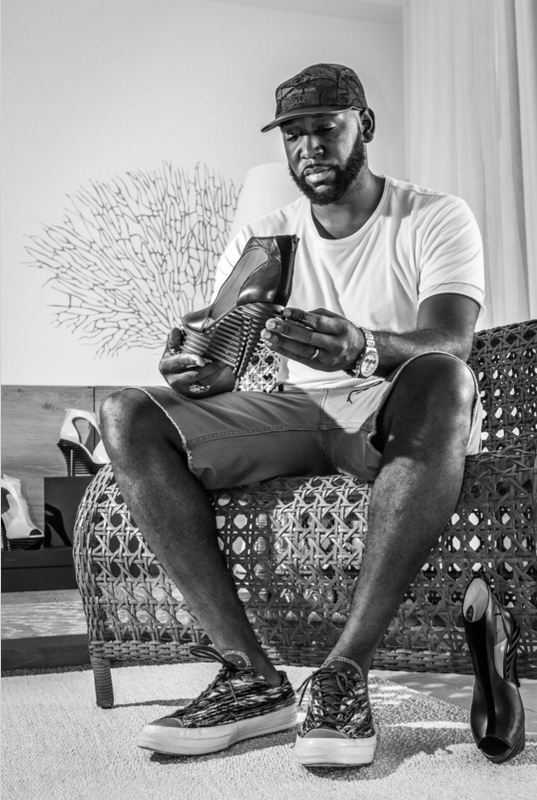 Learn more about footwear designer Christopher Dixon from his website. Learn more about FN Platform from our previous blog posts.